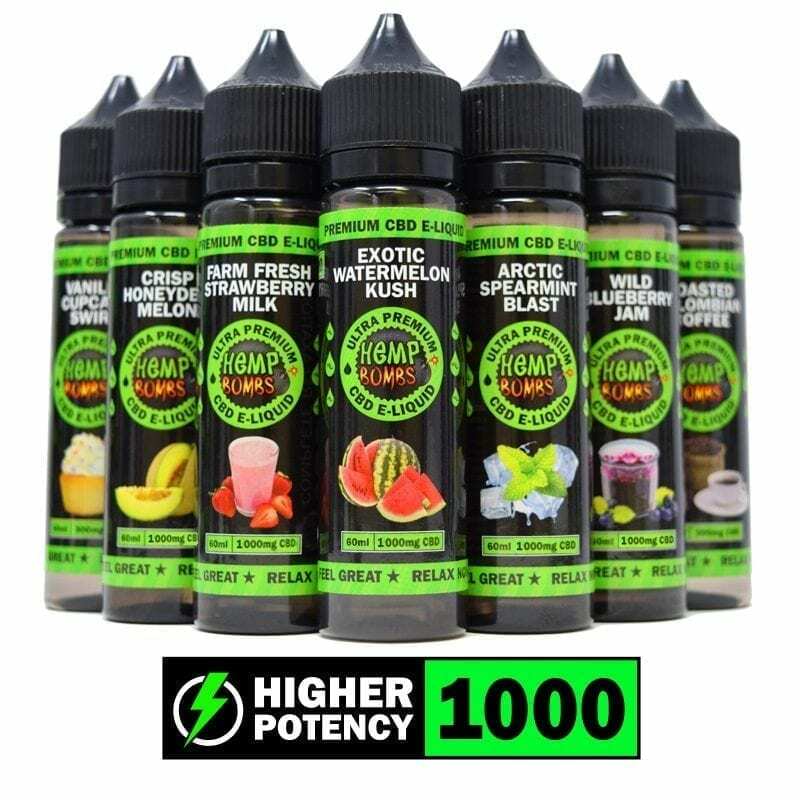 Hemp Bombs is an industry-leading brand of premium CBD products, including CBD vape oils. Our CBD E-liquids are a popular choice for reducing pain, healing inflammation, treating insomnia, and relieving anxiety and stress. We love that our pure CBD vape oil can help relax you to a state of calm, and we also want to go a step further by allowing you to personalize your CBD Vape Oil routine completely. Here are different methods of customizing your CBD vape oil with Hemp Bombs. Low potencies – Choose a lower potency if you are new to CBD or if you want a mild, relaxing effect from your CBD vape oil. Lower potency vape oils are the most affordable. Consider our 75mg/16.5ml or 300mg/60ml E-Liquids. Medium level potencies – If you are using CBD to treat a condition like anxiety or pain or if you want to feel a deeper state of relaxation, you may want to elect a moderate dose. 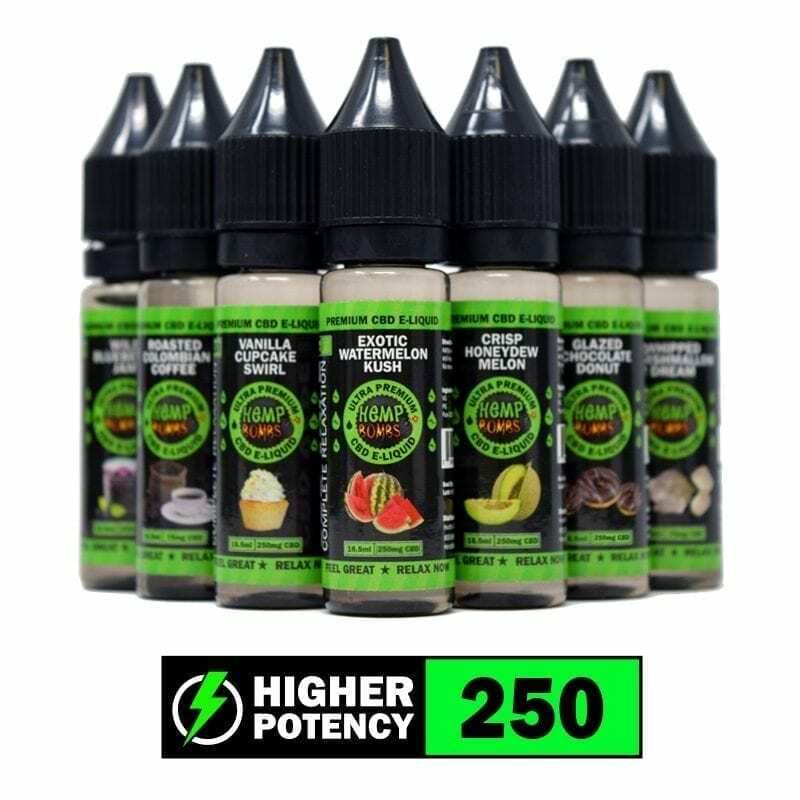 Options include our 250mg/16.5ml or 1000mg/60ml E-Liquids. 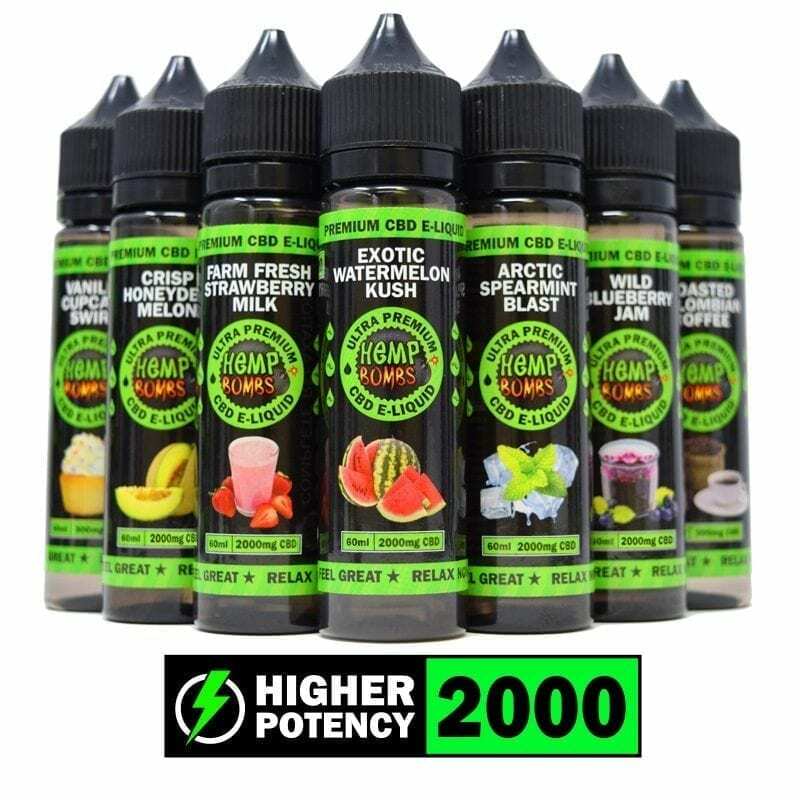 High and extreme potencies – We recommend our high potency CBD vape oils for those looking to treat severe anxiety and chronic pain, as well as those with lesser CBD needs who want to stock up and save. Try our 2000mg/60ml or 4000mg/120mg E-Liquids. Fun tip: Mix our flavors and discover delicious flavor combinations! We know it’s hard to choose just one flavor, and it’s also important to stock up once you find the flavor you crave. That’s why we offer two bundling options – our Mix & Match 4-Pack and Mix & Match 10-Pack. These bundles allow you to order multiple products while saving money. If you love to vape but also want to branch out and try CBD in other forms, we also offer a CBD Sample Bundle and a Premium CBD Bundle. Let’s say you already have a vape routine you love, but you still want to experience the relaxing and therapeutic effects of CBD. Our CBD vape oil additives are the perfect option. Tasteless and smooth, you can seamlessly combine our CBD additive with your existing vape juice to get the best of both worlds. Our additives are available in a variety of sizes and potency levels, so you can choose the amount that is best for your CBD needs. We love that you enjoy our CBD vape oils, and we are happy to help you customize our CBD E-Liquids products. Interested in exploring your options? Shop now!